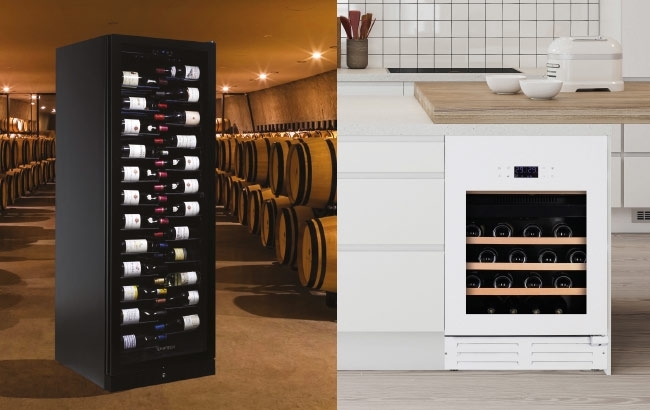 Are you searching for a wine cellar that fits in almost anywhere? A quiet wine cellar with a modern and stylish design? Then you do not have to look any further. 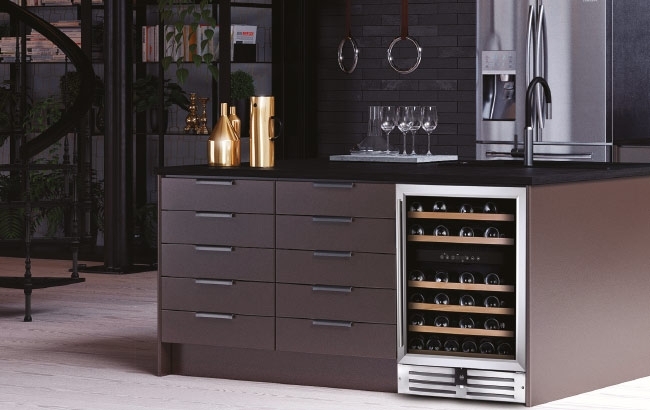 Whether you want it built-in, fully integrated, freestanding, on the kitchen counter or in the cellar - Temptech's wine cellars suits all your needs and wishes! 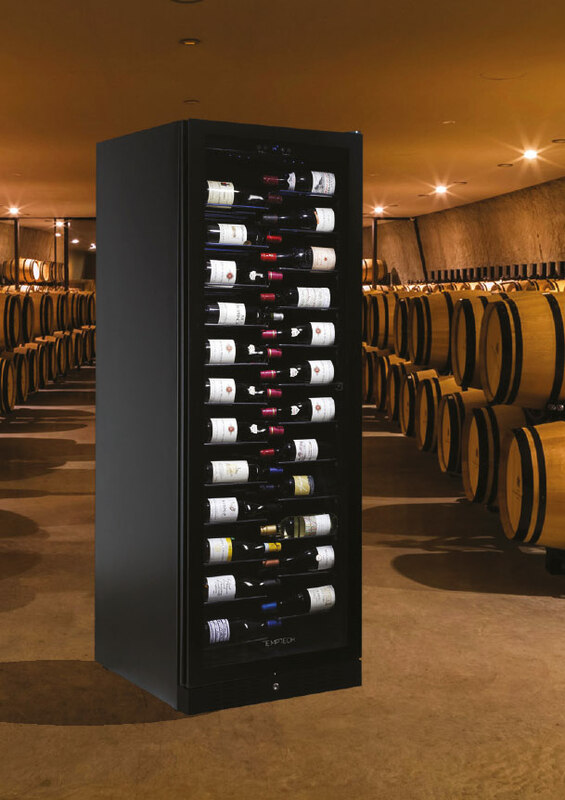 These high quality wine cellars are chosen by well-known restaurants, wine bars, wine collectors and wine importers. Here the bottles are properly stored in steady and correct temperature. The wine cellars are quiet and with low vibration. 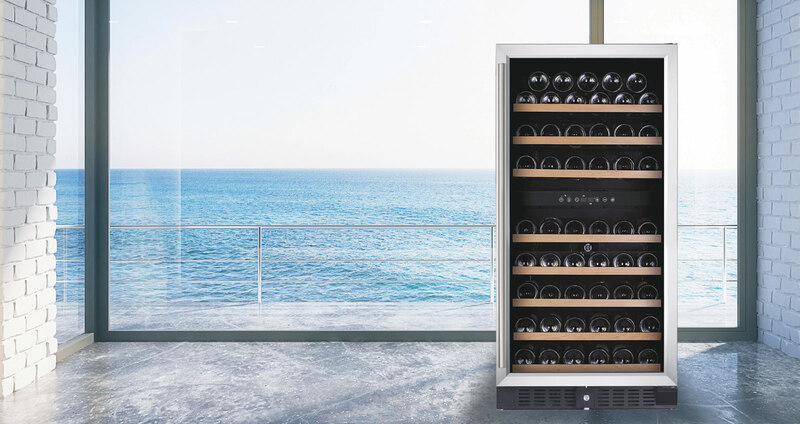 All thanks to the built-in compressor, specially made for wine storing. Properly tempered and stored wine will provide a better taste and a better wine experience. At the same time, proper storage of the wine will provide its durability. Proper serving temperature relative to wine type, grapes and maturing time is important. 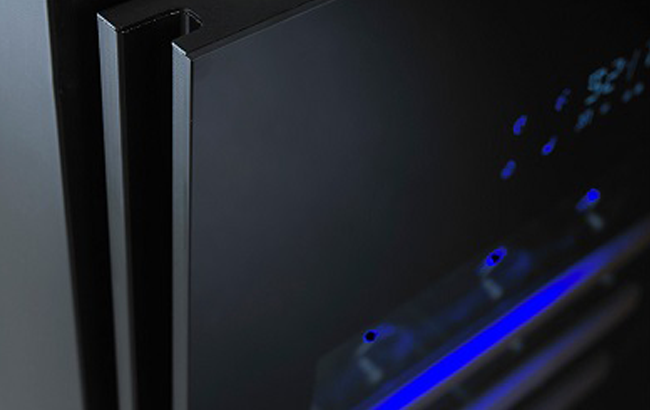 With wine cellars from Temptech, your wine is kept at the best possible way! Wine is a living product that evolves over time. For optimal and correct storage there are 5 golden rules that are important to follow; correct and constant temperature, correct humidity, protection from sunlight, odor protection and low vibration. Correct and constant temperature is essential for proper wine storage. In general, all wines can be stored at a constant temperature of 10-12 degrees. This will be a good temperature for all types of wine. 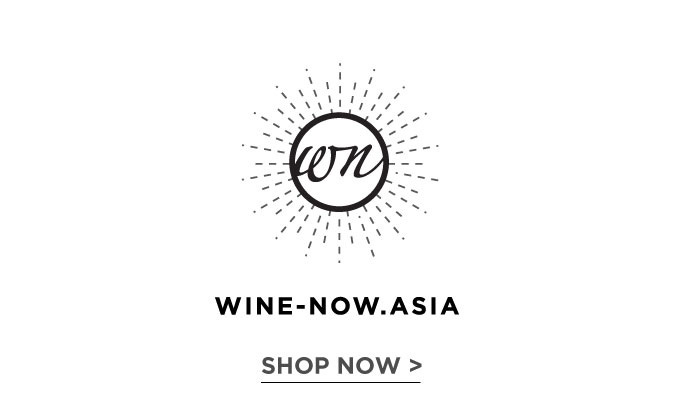 If you want to differentiate the temperature and have the wine stored at a correct serving temperature, white wine will be stored best at 6-12 degrees, and red wine 14-16 degrees. The temperature also must be as constant as possible over time. The wine cork can over time by dry and start to pull in air, and can over time destroy the wine. For the cork not to dry, it is important to have a proper humidity in the wine cellars. Proper humidity is at least 50%. All our wine cellars has 50-70% humidity. Wine is sensitive to light. Light can speed up the maturation process of the wine. Therefore, it is important to protect the wine against light. All our glass doors have UV protection. The interior lighting in the cellars is of LED which will not affect the wine. Odor may penetrate the corks on the wine, and impair the quality of the win. Our interior, wooden shelves are therefore untreated and completely odourless. Vibration over time will be harmful to the wine. The low vibration in our wine cellars is among the best in the market! © 2017 TempTech (Thailand) Co., Ltd.